Former Celtic manager, Gordon Strachan believes that Celtic are a bigger club than Leicester City and Brendan Rodgers should've at least waited until the summer before making his next career move. According to reports, Rodgers has agreed to join Premier League club Leicester City. The Foxes have been struggling in the league this season and are currently 12th in the Premier League table. They have lost almost half of their league games this campaign (13 out of 27), which subsequently led to the sacking of former manager Claude Puel. 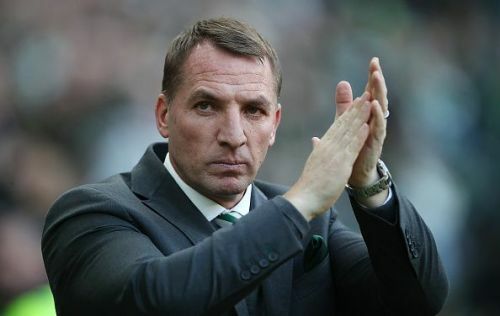 Rodgers is among the best young managers in the world at the moment and has been in charge of Celtic since 2016. He won two Scottish Premierships, two Scottish Cups, and three Scottish League Cups in his short but successful tenure at Celtic Park. He has worked in the Premier League before with Swansea City and Liverpool, and nearly won the league title with the Reds during the 2013-14 season. Speaking to Paddy Power (via Goal), Strachan revealed that he is disappointed with Rodgers' decision to join Leicester City. “I’m disappointed Brendan has left Celtic for Leicester – I would’ve wanted him to at least have stayed until the end of the season. “I thought Brendan would wait for a while longer, and get a club somewhere around the world that guarantees you Champions League football. But I understand that he, and the club, have probably made a decision to remove the uncertainty from the situation. The club can now move forward." “Let’s get one thing clear: Celtic are a giant club. One of the biggest in the world. Far bigger than Leicester. But that’s not the comparison – the Premier League is so far advanced of Scotland’s that it’s unreal." Leicester City will play Brighton and Hove Albion next in the league, whereas Celtic are scheduled to play against Hearts on February 28.